Blue Season Bali employs a full-time team that is solely dedicated to training PADI dive professionals. All our team members are experienced Course Directors, Master Instructors or IDC Staff instructors that have worked in the industry for years and have great experience when it comes to training the best dive professionals. We are dedicated to your training because we believe that each of our candidates should get 100% of our time and effort to become the best dive professionals in the industry. Our team can offer you support in English, Indonesian, Chinese and Japanese. Get in touch today to see how we can help with your diving career! Eugene is from Seattle Washington and he started his dive career in Mexico many years ago. 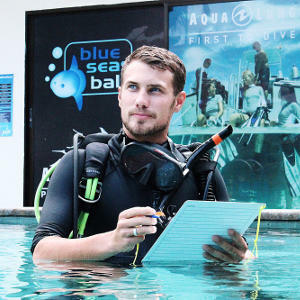 Since then, he has managed a dive centre in Vietnam, worked on a marine conservation project in Mexico as well as training Divemasters and Instructors in Honduras. 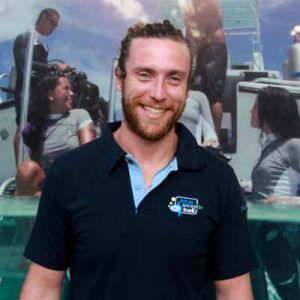 Eugene is also keen on fixing equipment when he has time to spare and will happily teach you the PADI Sidemount or Gas Blender courses. His favourite marine life include Frogfish and Mantis Shrimp. 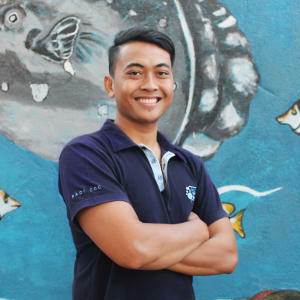 Agus is a really valuable addition to the Blue Season family, his enthusiasm is really infectious as the Intern Manager for PADI Divemaster and PADI Instructor internship. He also got an award from PADI Membership Achievement Awards for reaching his 5th Anniversary as PADI member. In his leisure time he goes for runs and joins his friends to play basketball. Have a look at our sister site here.